There is a high level of respect in the basketball world for blue chip recruits who refined their skills at storied prep basketball programs like Oak Hill Academy, St. Anthony&apos;s, Dunbar, St. Thomas More, Simeon, and Mater Dei and later developed into NBA stars. Victor Oladipo—even if he wasn&apos;t "The Man" at his alma mater Dematha High—is one of these stars. But Oladipo took a different route than most, opting instead to play his college ball at Indiana under coach Tom Crean and develop a blue collar work ethic and drill sergeant-like mentality towards the game. He didn&apos;t arrive with All-American status handed to him like Andrew Wiggins or Kevin Love. He earned his respect and led IU&apos;s return to prominence as an elite program during his three years in Bloomington. Before the D.C. suburbanite began his freshman year in 2010, Indiana had not been ranked as the nation’s top team nor earned a No. 1 seed in the NCAA Tournament in 20 years. 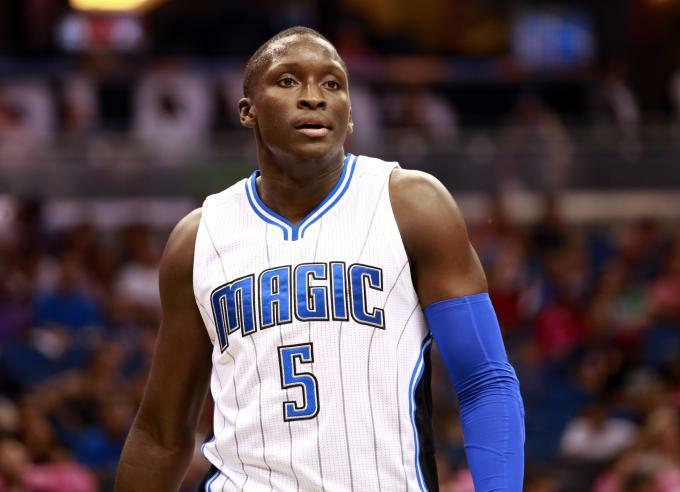 Since being drafted in 2013 by the Orlando Magic, Oladipo has performed at a high level while occasionally flashing the potential to be one of the NBA&apos;s best shooting guards. In 2014, Complex put Victor on the Top 25 Players Under 25 list, and one of their 10 Rising Stars Destined for Signature Sneakers. Even this missed dunk is worthy of a highlight because it’s ridiculous to fathom his hangtime. Add in a 42-inch vertical and ability to land a 540-degree dunk, and you&apos;ve got all the makings of a future household name. 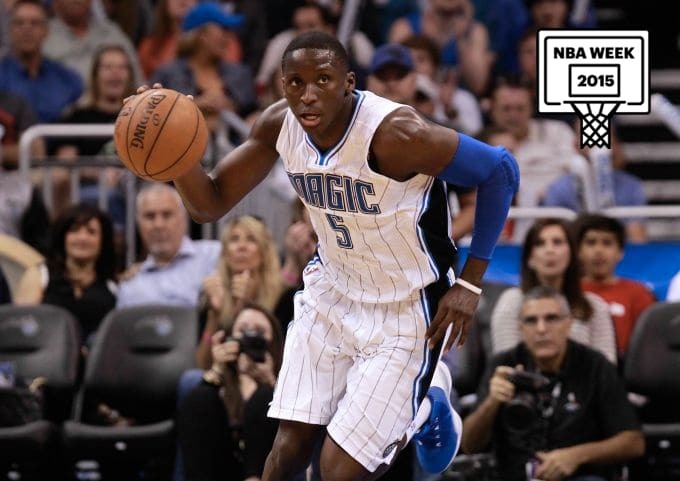 We spoke to Oladipo about his time coming up through the amateur ranks, why he believes his friend Michael Carter-Williams will be his biggest rival in the years to come, NBA players he would select as bandmates (Victor is a talented R&B singer), sneakers, and how he thinks the Eastern Conference can compete with the Western Conference. DeMatha High School is one of the most storied high school basketball programs ever. Do you feel like you would or would not have reached the level of play to where you are now if you had not been a product of that program&apos;s rich history? Honestly, no. I feel like me going there definitely motivated me as a person and the player that I am today. I learned how to play with great players, learned the game of basketball, and how to work hard the right way. Without DeMatha, I definitely wouldn’t be who I am today. Not only to be a student of the game, but how to be a gentleman and a scholar. Indiana surprisingly hasn&apos;t had a dominant player in the NBA since Isiah Thomas. Given Indiana&apos;s reverence in the college basketball world, do you feel that you could be the next Indiana alum who has the most potential to become an NBA superstar? I honestly feel like I have a great opportunity to be. It’s going to be based on me whether that happens or not. I can always continue to keep getting better. Never be satisfied. Always trying to be consistent. Trying to be great at all times for whatever I do. And then everything else will take care of itself. You know, nothing is going to be handed to me, nothing is gonna be easy. Everything that’s happened with me hasn’t come easy. But I’ll continue to get better, working hard, and hopefully one day I can achieve that goal. [Michael carter-williams and i] go at each other’s necks, wanting to win. Of course, that’s gonna go on for years until we both retire and when we’re both in the Hall of Fame. Many college kids do real crazy things for social acceptance. You recently spoke out about the dismissal of some IU players, saying "they need grow up." And the recent fallout of IU’s the Alpha Tau Omega fraternity is really crazy. Can you relate to a kid being away from home for the first time in Bloomington looking for crazy means of social acceptance? I might be a little different than your normal student or normal athlete. Just because of the mentality of where I came from and what I wanted. My hunger and everything like that. I feel like if you ask any of the students or the teachers at Indiana they can tell you that something about me was just different. But at the end of the day, I had fun. I was a young kid, 19, 20 years old in college at a major university playing basketball. I knew I was supposed to have fun, but at the end of the day I knew there was a bigger picture. When I sit there and I watch all these things happening there, they’re all going to have it fall on the coach and the coach’s staff. But, in reality, they’re not with them 24-7. So when I say “grow up,” I mean they just gotta realize that they’re men and playing for something bigger than themselves. And especially at Indiana, being there playing basketball. So they need to be smarter in their approach to the things they do. Not saying they can’t have fun and do what college students do, but they’re not normal college students. They’re student-athletes and whatever they do is being watched. They have to be smart and gotta realize they can have fun, but a different kind of fun. When something happens to them, it affects the whole team. Magic Johnson compared you to Dwyane Wade a few years ago. But who did you really model your game after? Believe it or not, it was [him]. D-Wade was the closest thing that I could ever model myself after. At the end of the day, I could watch Jordan, I could watch Kobe to learn things from them, but D-Wade was about the same stature, same height. I was the same mold as him, so he was kinda someone I could relate to. I definitely try to mold some things after him. A couple other guys around my height I was watching [were] the D-Roses and the Westbrooks. Guys that I watched growing up and [am] now playing against. I try to learn from a little bit of everybody’s game and try to create my own. But I remember some vague memories back in the day seeing Jordan and Magic go up against each other, too. You know, they both were the best players on the floor. They did everything and anything to lead their team to a win. That’s what I’m trying to get to: being in attack mode on both ends of the floor. Keep good scoring, rebounding, getting assists, and doing the little things that go on in a game like how many timeouts we have, how many timeouts does the other team have. Who’s going into the bonus with fouls—the entire game as a whole. What is your favorite casual sneaker away from playing? And what was your favorite sneaker that you ever played in? That’s interesting. I couldn’t really be into sneakers like that because I never really...well, my parents never bought me sneakers like that. Whatever I played in were the sneakers I wore to school. So when I got to college, and I was able to buy Foamposites, those were the shoes that I really loved. I remember being back home in D.C., Foamposites was the thing. And when I got my first pair in college, I was like so psyched and so hype. And I still rock them to this day. They were my favorite shoes to walk around in. The best thing about the Foamposites is that they are so many colors, and you can rock them with anything. Guys can wear them to their proms, you can rock them anywhere. You know what I mean? For playing, I like the Jordan XX8’s that I wore a couple years ago, and still wear today. One of the most comfortable shoes that I ever played in. You’ve grown a habit of posterizing people with your dunks, even LeBron. And you literally sang yourself into 540-degree spin dunk at last year&apos;s Slam Dunk Contest. What&apos;s in your workout regimen to fly that high? Just natural athleticism, but I work out every night. I do squats, and leg strengthening, and it just carries over to some things with my leaping ability. 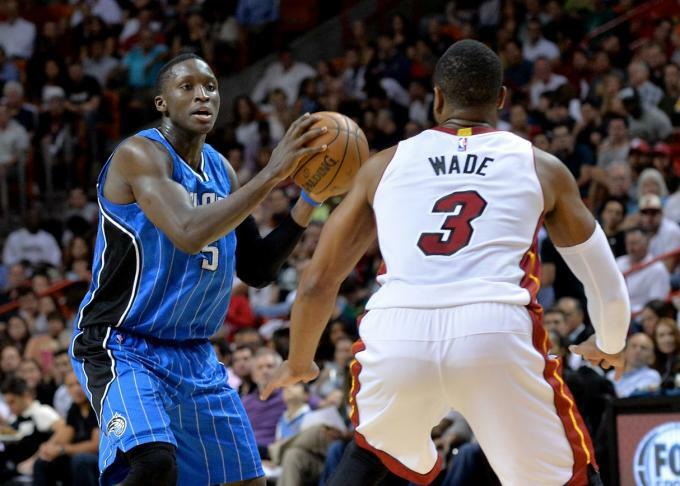 The Orlando Magic haven&apos;t had a franchise player since Dwight Howard left town. What elements of leadership have you learned to fill that void for the Magic? I think there are a couple ways to lead. You can lead verbally. You could lead by the way you act, and things like that. You just gotta be smart in your approach and how you lead. Because everybody is different, and you can’t lead everyone the same way. Players come from all sorts of different backgrounds and personalities. My biggest thing that I’ve learned that I need to be a student of the game. If my approach is right, I’ll be able to lead them. There aren’t that many R&B singers [in the nba], so I think I may be the only one. 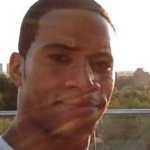 You have a positive reputation as a R&B singer, but you really dig hip-hop music. What were your first memories of falling in love with hip-hop and R&B, and what artists made you want to sing? My older sister Christine, she used to listen to it a lot. I remember when I first heard Brian McKnight, and she used to love him. I just fell in love with R&B. You know the Ushers, the R. Kellys of the world—I used to sing all the time. With hip-hop, I’ve always listened to it, the Lil Waynes and Jay Zs. Of course, I might have not really been around for 2Pac and Biggie, but they will never die. I got introduced to that in high school, and I just kinda ran with it. But as for singing, I used to sing in the church back in the day. My mom used to take us to church, but also I sing for fun. It’s a hobby that makes me happy. If you could compile a team of active NBA players who rap or sing, who in particular would you pick to go on tour with as a during the off-season? I would say Damian Lillard, who’s into hip-hop and rapping. I would say KD because he raps sometimes, so he might be there. I definitely would say Iman Shumpert because he’s got music videos out and everything like that. I’m sure there’s a lot of people who rap, but those are the only ones who I can think off the top of my head right now. No spot for Metta World Peace or Joe Smith? Oh yeah [Laughs]. There’s a lot of guys who are into the music business, so it’s pretty cool. There aren’t that many R&B singers, so I think I may be the only one. You and Michael Carter-Williams each recorded a triple-double in the same game as rookies. Also, you were the Rookie of the Year runner-up to him in 2014, and you both are great friends. Do you believe that he will be your friend and nemesis for years to come in the league? I believe so, definitely. We both came into the league together, and have mutual respect for each other. And when it comes to playing, we just push each other to go at each other’s necks, wanting to win. Of course, that’s gonna go on for years until we both retire and when we’re both in the Hall of Fame. Players like J.R. Smith admitted in the past that playing in a big market like New York didn&apos;t help him focus on basketball too much. Do you think playing in a small market city like Orlando that it&apos;s easier to focus on basketball? It doesn’t matter where you’re at. If you can’t focus, you ain’t gonna be able to prove yourself. You could be in Orlando, you could be in Miami, Denver, Boston. If you’re not locked in and focused, or if you are locked in and focused, it shouldn’t matter where you’re at. It may be a small market but I’m focused on doing great things here. So I can’t let nothing distract me. The Eastern Conference has only had five champions in the past 17 seasons. With all the young talent in the East, what do you think it&apos;s going to take for the balance of power to shift back to the East, and for the Magic to be great again? I think the East has got to continue to get better. The East has a lot of young talent that needs to continue to grow and work on their games. A lot of teams on the West are well-groomed and have a lot of firepower. Speaking on behalf of the [Orlando Magic], we just gotta continue to keep growing as a young core, stay together, and we’ll keep getting better. If we can do that, the sky’s the limit for us. If you win an NBA championship, it would be funny to tell everyone on TV that you’re going to Disney World, which is right there in your backyard. Have you been there lately? Nah. Hopefully we’re going to their Halloween Horror Nights on Thursday, though. You mentioned in an interview that you live modestly by renting. What are your long-term plans for your life after retiring from the NBA? I want to be able to build my dream house. But after I retire, I want to be attached to the game as long as I can. Maybe do broadcasting like Shaq or something. Or through coaching. My love for the game will never waver. It will always be there.